Every now and then I search out things that will remind me why I love storytelling. That will inspire me to be the best storyteller I can be. It's easy to get caught up in thoughts and worries about the business side of publishing, and forget why it is I do what I do. It's because I LOVE stories. I frequently listen to podcasts on my daily walk with the dog. NPR's TED Radio Hour is one I listen to from time to time. They interview three people, one by one, who have done TED talks and play parts of their talks, and group them together with some sort of underlying theme. This morning I listened to one called, "Framing the Story." One of the three people on the show was Andrew Stanton, a writer and director from PIXAR. You can watch his full TED talk HERE. There are a few little gems I latched on to, and I thought I would share them here, in case you are a writer in need of a a bit of inspiration today. 1. 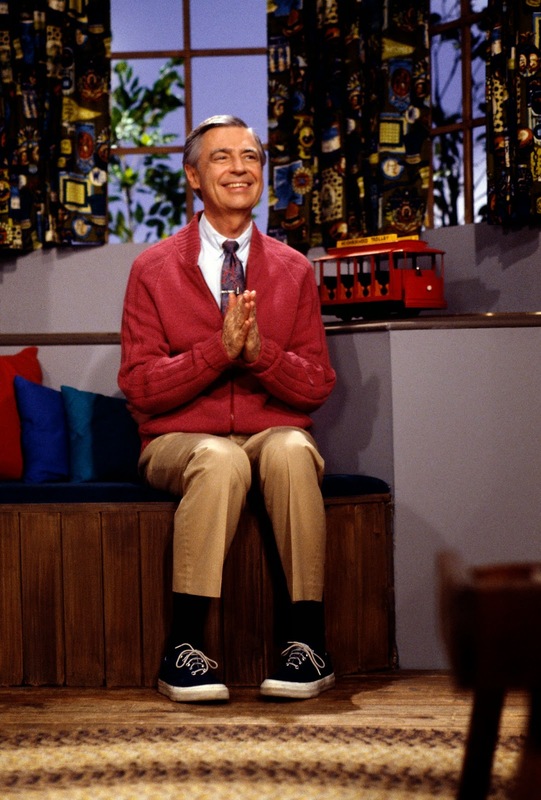 Mr. Rogers used to carry around a piece of paper in his wallet that had a quote from a social worker. It said, "Frankly, there isn't anyone you couldn't learn to love once you've heard their story." Mr. Stanton then goes on to talk about how we must always remember this fundamental story commandment, which is: Make me care. That is our number one job throughout the story - to make the reader care. 2. Drama is anticipation mingled with uncertainty. I love that. I can't wait to find out what happens - and what IS going to happen!?!? 3. 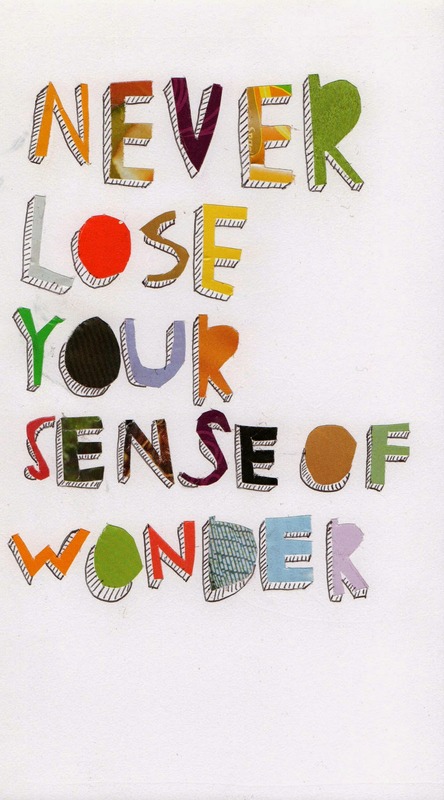 The secret sauce - can you evoke the sense of wonder? The best stories infuse wonder. When you can hold a person still, in a brief moment of their day, and have them give in to that sense of wonder, it's a magical thing. And when one artist does it to another artist? That artist is then compelled to pass it on. There is a book I haven't talked about much. A fantasy middle grade novel. It sold back in 2011. I remember the day very clearly, because just a couple of hours before getting the call from my agent, I had gotten a call from Neil, the husband of my dear friend, Lisa. He had called to let me know she had passed away peacefully that morning, at the hospice center where she'd been for a couple of weeks. Lisa had been diagnosed with pancreatic cancer in December. So when the call came letting me know the book had officially sold, that the deal was finalized, I apologized to my agent for not being more excited. Of course she understood. It was a sad day, to say the least. Prior to December, I would have shared the good news with Lisa. She would have cheered. She would have wanted to celebrate. She loved good news, especially that of the bookish sort. But my friend was gone, and I was devastated. 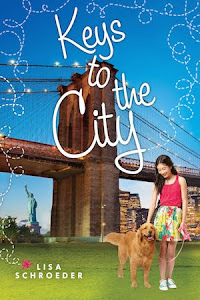 Fast forward a few months, to late June, when I traveled to New York City because my YA novel CHASING BROOKLYN was a RITA Award finalist. While there, I made time to meet with the editor who had bought the MG fantasy for breakfast in Grand Central Station. We chatted about life and books and she told me some of the changes she wanted me to make to the manuscript. When I got home, I went to work, and had the first round of revisions done in a couple of months. Her schedule was busy and it took a while, but eventually I got an official editorial letter along with the manuscript, and another big round of revisions was necessary. Sometimes this is how it goes. Some books need more work than others. When I wrote the book back in 2010, the idea came about from a page in my idea journal. Some things stayed, some things didn't, but it all began because of that page. I feel like my editor helped shape the novel into something pretty magical. I am so happy with how it turned out. I am proud of this book in a big way. It took years and a lot of hard work to get it right. But I think we did get it right, and that is such an amazing feeling. In a few weeks, I get to share the cover of this book, titled THE GIRL IN THE TOWER, coming March 29, 2016. Today, I want to tell you who has designed the cover, as well as the black and white illustrations that will appear throughout the entire novel. The illustrations are stunning, and I cannot wait to see the final book! Her name is Nicoletta Ceccoli. Her web site seems to be down at the moment, but take a look at one of her prints that is available for purchase. I absolutely LOVE it. All of her work is just so amazing. If you want to see more, just google her name, and you'll see lots of beautiful images. While the book may have had a bit of a sad beginning, it will have a happy ending. It will be out next year and I'm over-the-moon excited about it. I hope you are too! I've just returned from two days of school visits in Southern Oregon. I don't like the four hour drive much, but the students and teachers and the awesome librarians made up for that! My first visits were at South Middle School, where I did four presentations on Monday and two presentations on Tuesday, and had lunch both days with a select group of students. The kids were amazing - so many of them came up to tell me super nice things about my books and writing. A lot of the kids bought books and had me sign them. One girl told me she saved her dog-walking money so she could buy four of my books. FOUR! It must be her favorite number, because when I asked her how many dogs she walks, the answer to that question was four as well. One of the language arts teachers reads CHASING BROOKLYN to her 7th graders every year. When someone told me that, I was like, oh my gosh, doesn't she get sick of it? He replied, "She just really loves it. You can tell." As a result, I had lots of fans of that book there, both boys and girls, which is always awesome to see. Another language arts teacher was reading IT'S RAINING CUPCAKES to his 6th grade students. Really appreciate that teacher support, let me tell you. We got one of the lunch groups to pose for a picture. Here we are, getting our jazz hands on. 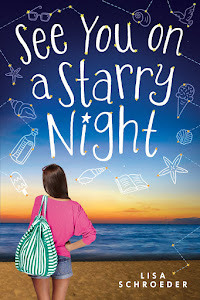 I've always said I write my YA novels with middle school kids in mind. They are my core audience, and I love spending time with them! So, I'm back home and back to work on the current work-in-progress. But not this morning. Author Cynthia Lord is in town, and presenting very near my house, so I'm going to go and listen to her presentation this morning! These are the days I really love my job.